Brand new custom home with meticulous attention to detail, high-quality craftsmanship & high-end designer finishes by award-winning builder. Located on a prime Cheviot Hills street with a spectacular yard, pool, spa, outdoor built-in BBQ & sprawling turf area. Four ensuite bedrooms upstairs & one ensuite guest bedroom downstairs plus an additional paneled office or library. The bright open concept kitchen with large island & breakfast area opens to a spacious family room with sliding glass Fleetwood doors which open completely for indoor-outdoor living. Sensational volume with soaring ceilings & large windows which drench the home in natural light. 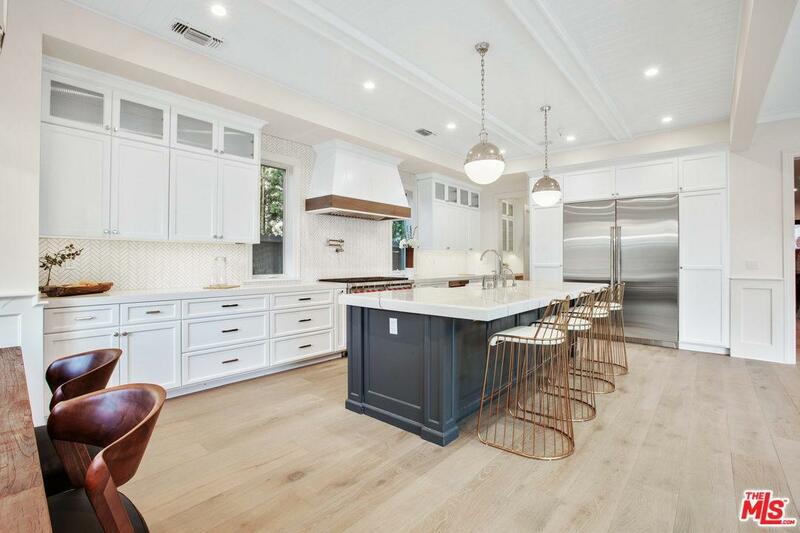 Features wide plank French oak floors, a large living-dining area with coffered ceilings for large dinner parties, gorgeous paneling & moldings throughout, upstairs laundry room & built-in speakers. Prime Cheviot Hills CC centrally located near the park, Griffin Club, Hillcrest CC & world class retail in Century City & Beverly Hills. Sold by Benjamin S. Lee BRE#01335192 of Coldwell Banker Residential Brokerage. Listing provided courtesy of Daniel Brown DRE#01335192 of Compass.